This entry was posted in Photo Challenge and tagged golden hour, Pennsylvania, postaday, the golden hour, Weekly Photo Challenge. Bookmark the permalink. Oh, that looks like Sam, the Percheron at Old World Wisconsin where I interpret! A gentle tank, he is. Great shot! 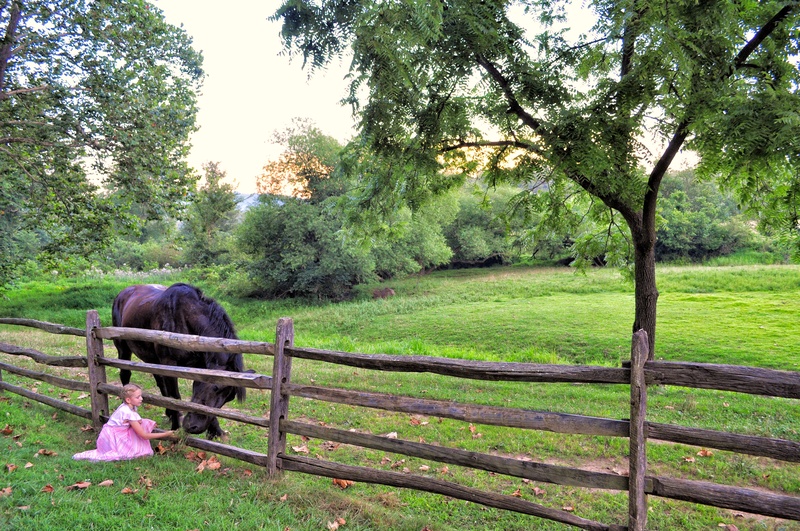 This beautiful boy Is one of two drafts at Hopewell Furnace NHS in PA. They are both sweet boys and the kids just love them! Thank you for the visit. Your blog is wonderful and I look forward to following along! Thank you!! I am so glad Daddy was able to fix the coloring!